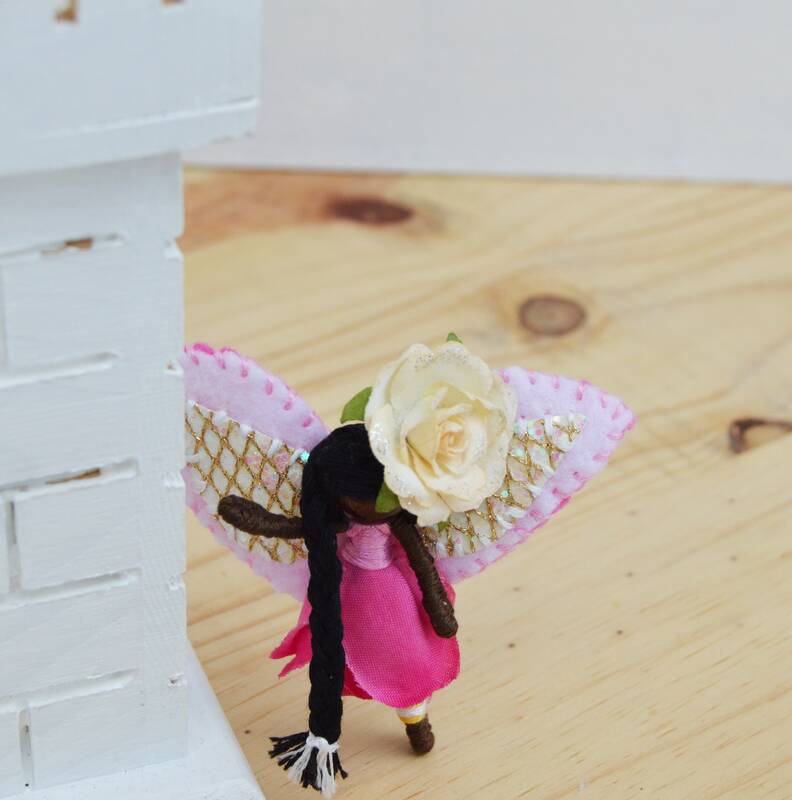 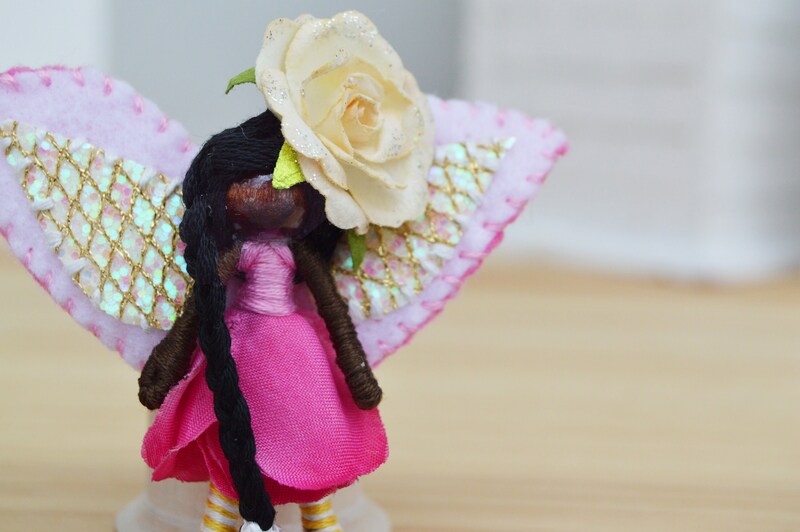 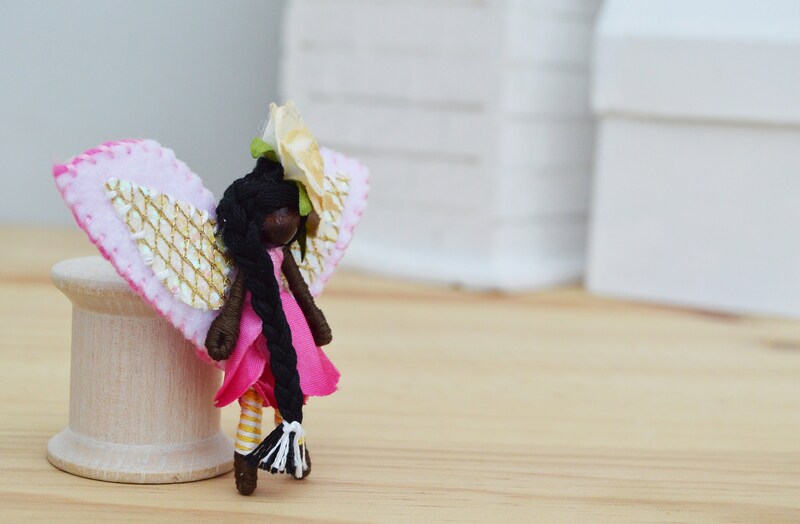 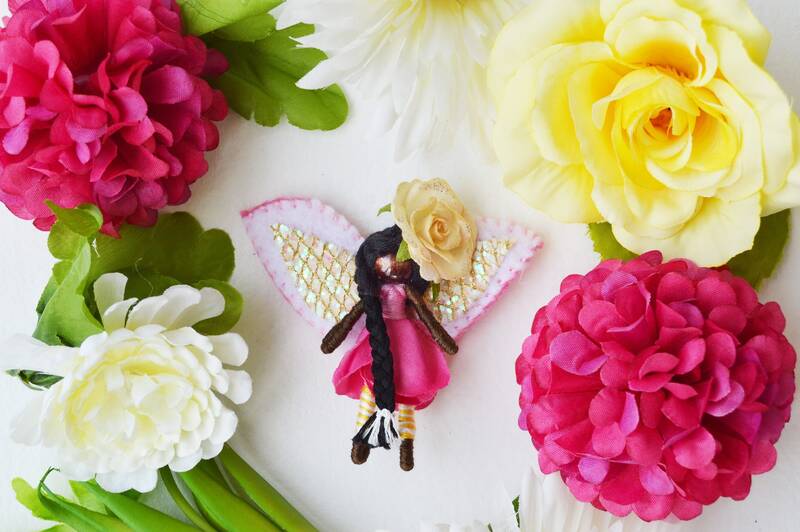 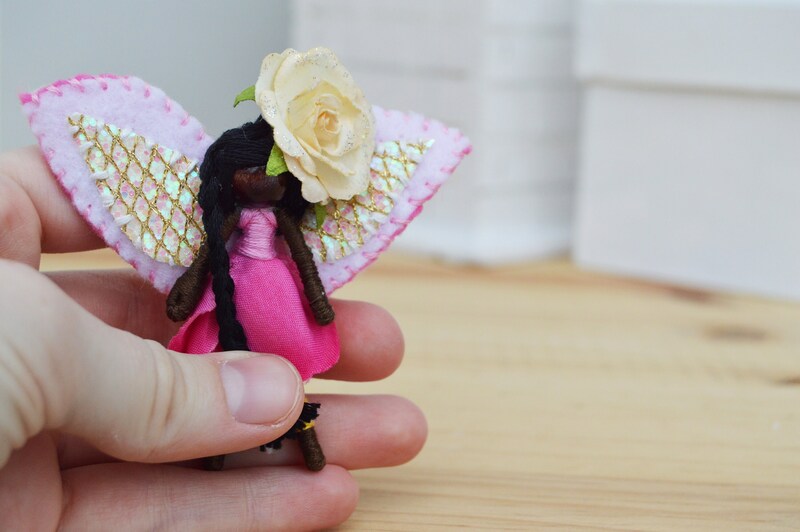 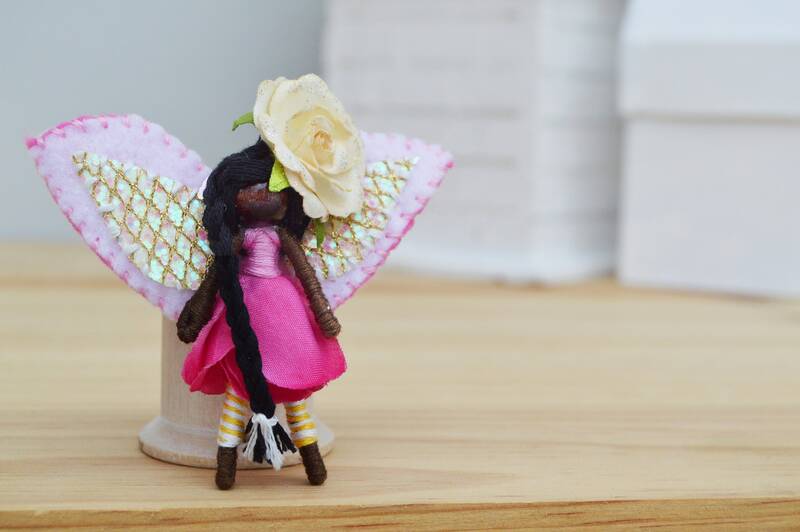 -Meet Wildflower, a one-of-a-kind, handcrafted black fairy doll ready to go on her fairy tale adventure! 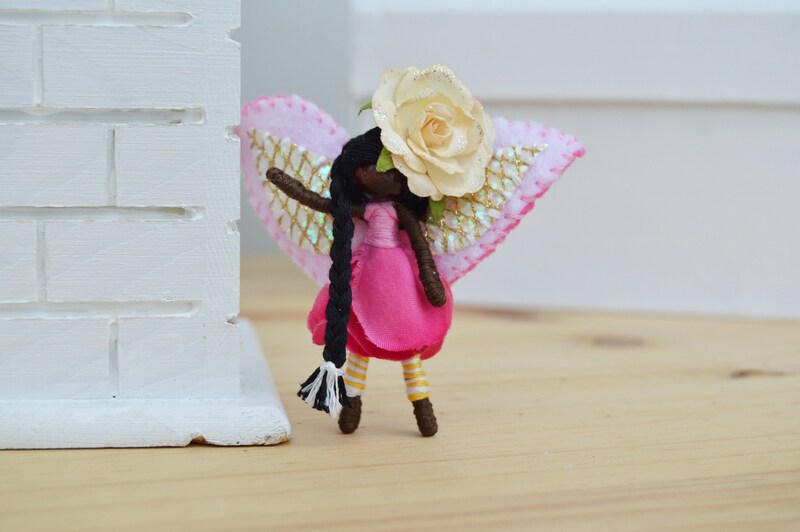 - She stands just 2 inches high. 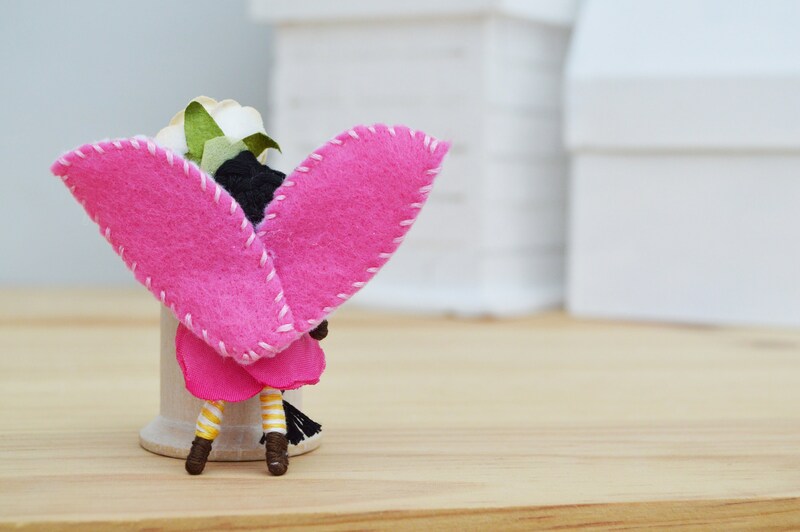 - Dressed in: bright pink, soft yellow, and white. 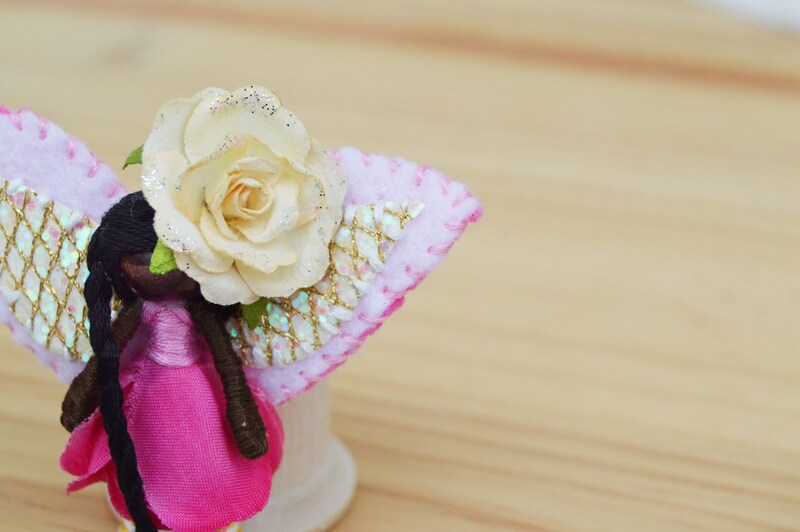 - Materials used: faux flowers and polyester felt.